There is an established type of knowledge, which is the one proposed from the power and the hegemonic culture. 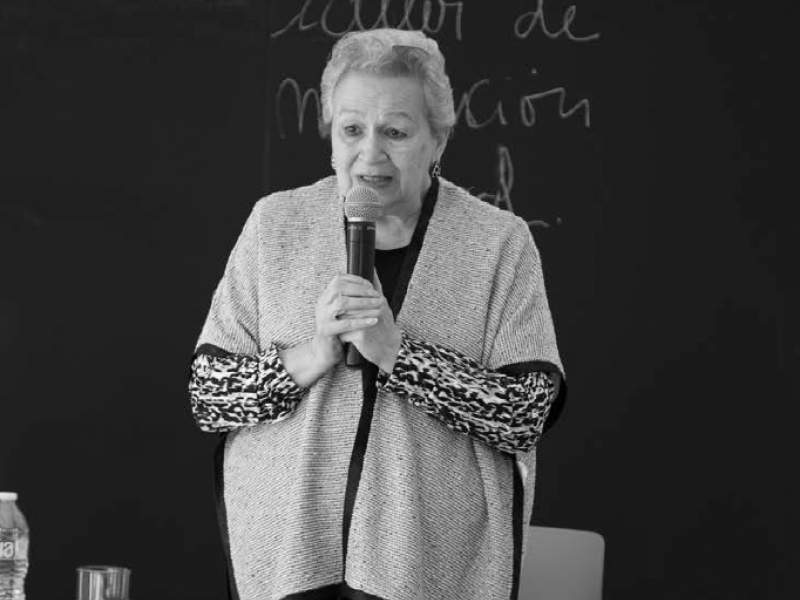 For Oral Narrator, Gallardo proposes a space for an action in which an older adult woman will narrate, as if it were a story, the CV of Mexican women artists invisible in the history of art. María Cristina Urzaiz Mediz is an Oral Narrator. She is 82 years old.